You guessed it. When the angel Gabriel made the birth announcement to Mary, it was nine months later that the baby was born. So, whenever we celebrate the Feast of the Annunciation, you are sure Christmas is right around the corner. The angel Gabriel was a smart angel. He approached Mary with great respect and honor. He knew that some day this little Jewish girl would be his boss! — Queen of Heaven, Queen of the Angels! Above is an aerial picture I took of the Church of the Annunciation in Nazareth built over the small village of caves where the angel found Mary. 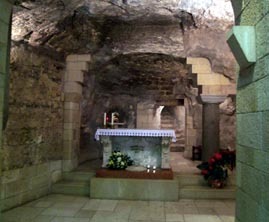 At the time of Mary the village was made up of about 30 caves. 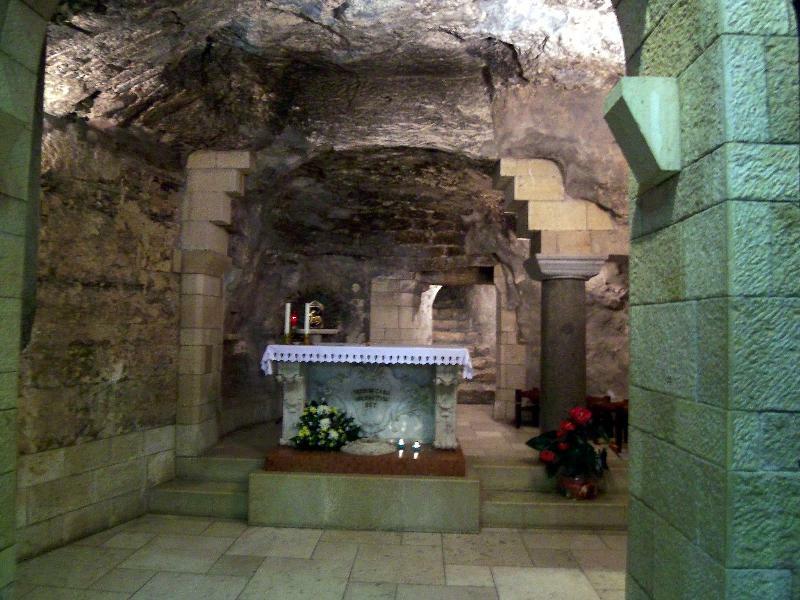 And here is also a picture below the church in the Grotto where Mary lived. And for your information, on the altar it reads, "The Word became flesh HERE" in Latin. This is the moment the Incarnation began! To experience the whole life of Mary and a defense of the Marian doctrines, take a look at our DVD Mary, Mother of God. 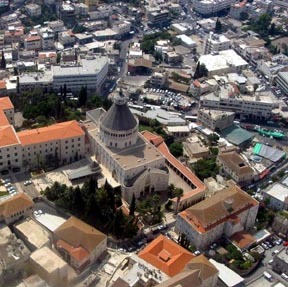 Watch our Virtual Pilgrimage videos here.